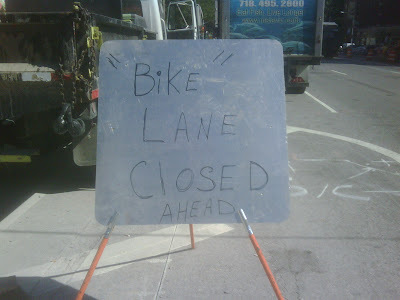 Evan spotted this in Manhattan, where they apparently aren't that good at sharing the road. Hoveround scooters are also acceptable. They got trikes there, too?